A man who survived the deadliest shooting in U.S. history – and watched his father-in-law gunned down before his eyes (his wife’s aunt and cousin were among the wounded at the concert) – has filed a lawsuit alleging his employer discriminated against him by failing to accommodate his mental health condition when he returned to work. Los Angeles workplace discrimination attorneys can explain that while employers aren’t expected to provide opportunities for accommodation when a person can’t do what’s necessary to complete the core functions of the job, reasonable accommodations that don’t impose an undue hardship on the company are mandated by federal law. The American Psychiatric Association first identified post-traumatic stress disorder as a named condition in 1952, though references to it date at least all the way back to ancient Greek literature. 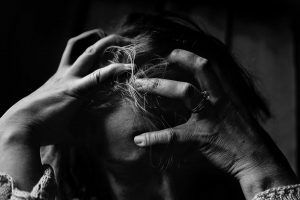 The reality is, it’s not uncommon for an individual to experience a traumatic event, and the APA estimates roughly 7-8 percent of all Americans suffer from PTSD. About 10 percent of women and 4 percent of men while experience PTSD in their lifetimes. It can afflict people who have seen the front lines of a war, but also those impacted by natural disasters, mass shooting casualties and interpersonal violence. PTSD rates are higher among soldiers than the general population, but the condition affects far more than military personnel. Unless a person applying for accommodation requires some form of workplace accommodation during the application or interview process, he or she need not disclose a disability to an employer upfront. Disabilities only need to be disclosed when an employee requires accommodation to perform an essential function of the job. Refusing reasonable accommodations for PTSD, which is a mental health disorder, is a form of disability discrimination. CBS News reports in this case, the man survived a shooting rampage in which 58 people were killed. He returned to work three weeks later at an elevator service company. By that time, plaintiff had worked for the company roughly three years and prior to the shooting was given a promotion and sizable commissions. Eventually there was a dispute over his reduced commissions and plaintiff was asked to leave the premises due to “unruliness.” In response, plaintiff told the co-owner his lack of empathy for him was stunning, as he’d allegedly never once been asked how he was, if he needed to talk, if his family was Ok. Instead, they did everything they could to push him out. The other co-owner compared the worker’s suffering to her cancer diagnosis, which she survived. She accused him of having a personality disorder and said she had sucked it up, and so should he. Disability discrimination attorneys know discrimination can take many forms. It’s best to discuss your concerns with an experienced attorney if you have questions about whether your condition qualifies.